Posted on Thursday, April 30th, 2015 at 9:25 am. A challenging transformation to the gallery space will occur with the residence of Barbara Tetenbaum May 10 – 13 with the installation of My Ántonia: Instructions for Seeing. 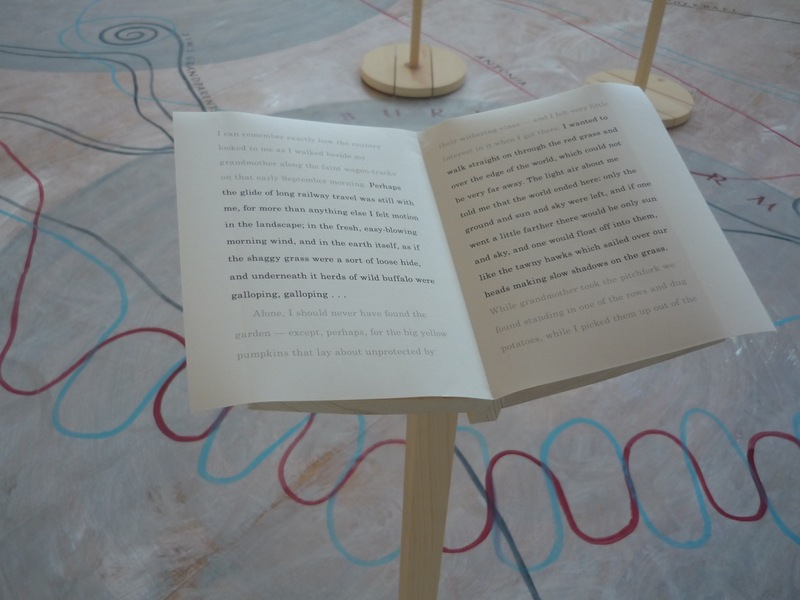 Barbara will work in collaboration with interns, students and artists to realize this visual presentation of Cather’s beloved novel, through mapping components, a carved wooden interpretation baord, and book stands placed throughout the space. All will culminate with an opening reception on Wednesday May 13, 6 – 8pm.